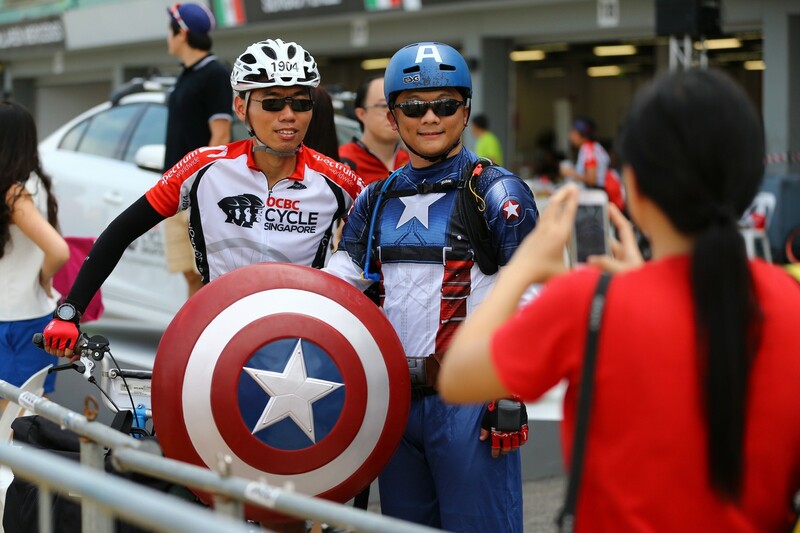 Such is the growing popularity of the OCBC Cycle Singapore that even Captain America and Star Wars stormtroopers turned up at the F1 Pit Building yesterday. 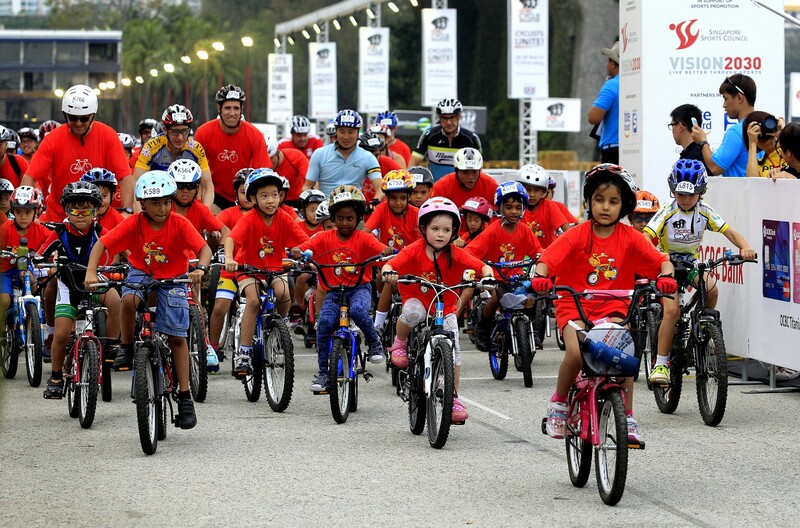 The three-day cycling festival ended with almost 12,000 participants in total, a record for the six-year-old event. 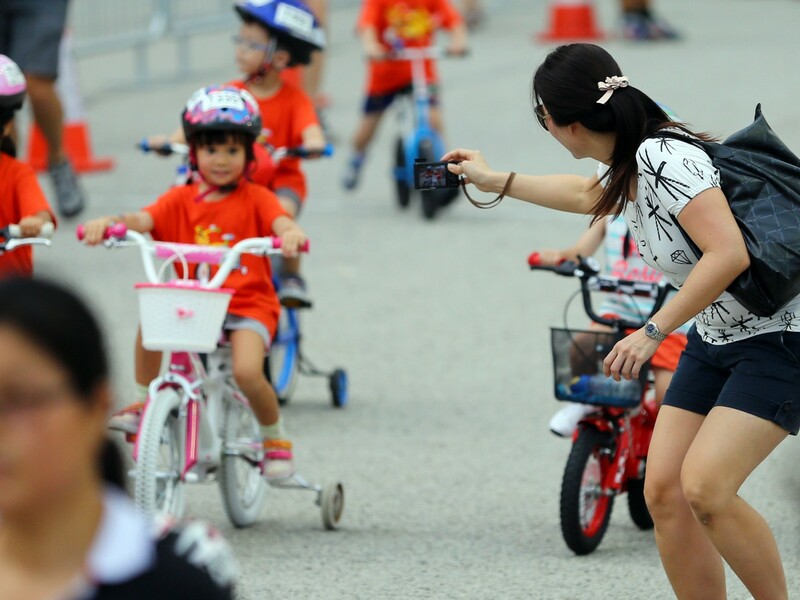 The growing numbers, together with the achievements of the Singapore riders in various tours and at last year's South-east Asia (SEA) Games, are reasons to be optimistic over the growth of the sport here, according to Acting Minister for Manpower Tan Chuan-Jin. 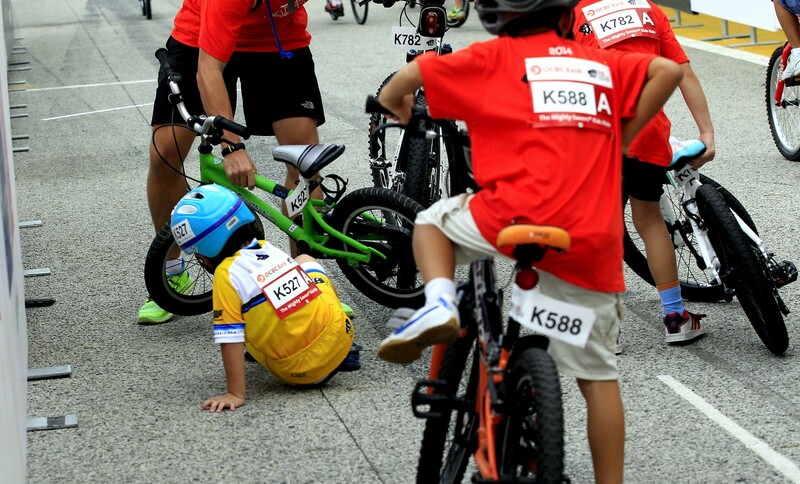 "There's always a point where you start, but it's encouraging that our cyclists are winning some of the medals at the SEA Games and some of the other events," said Tan, who was the guest of honour yesterday morning. "Like it or not, winning has a way of captivating attention. 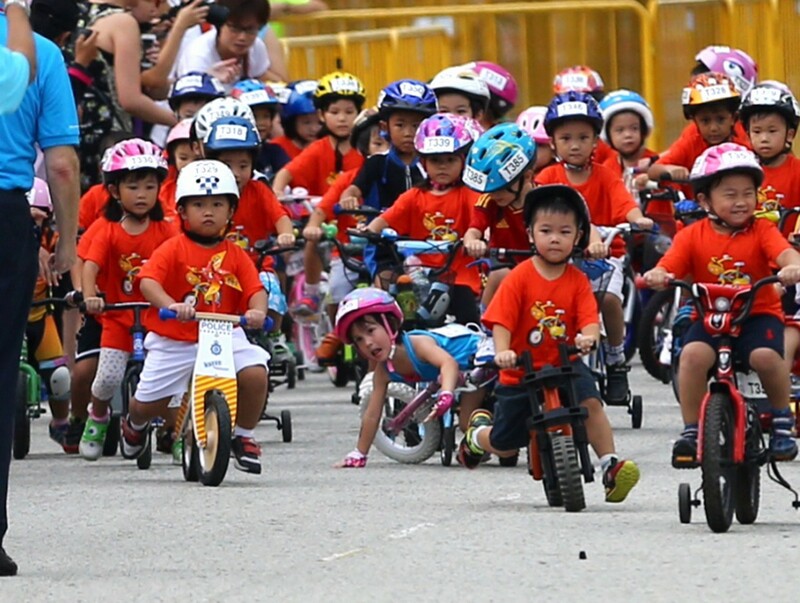 It inspires the young people as well. 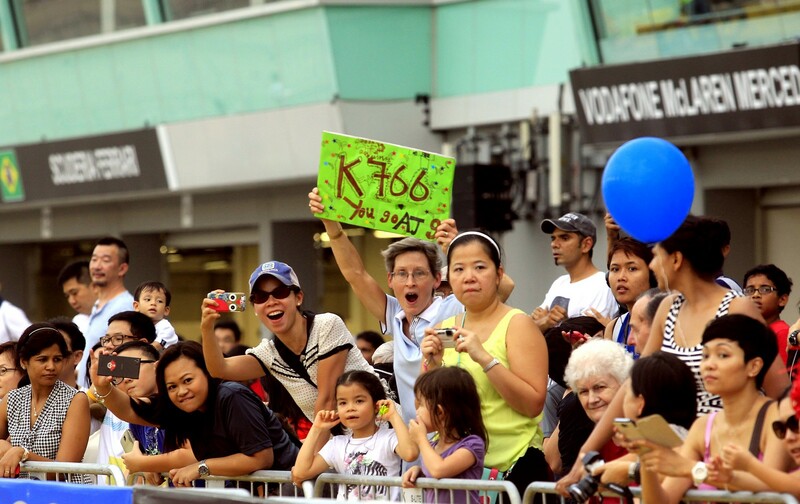 While it's nascent, it's good to see that it's growing." 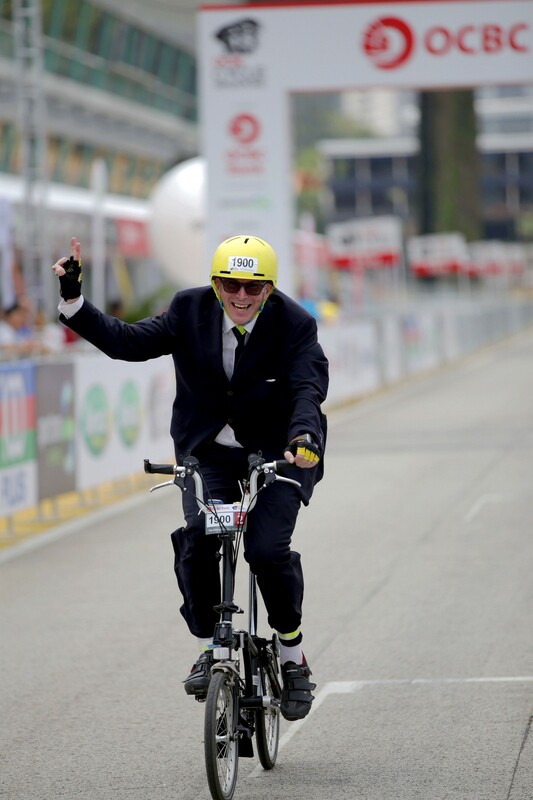 "Some may evolve to take up competitive cycling because some of our competitive cyclists are doing well," added Tan, who is a council member of the Singapore National Olympic Council (SNOC). 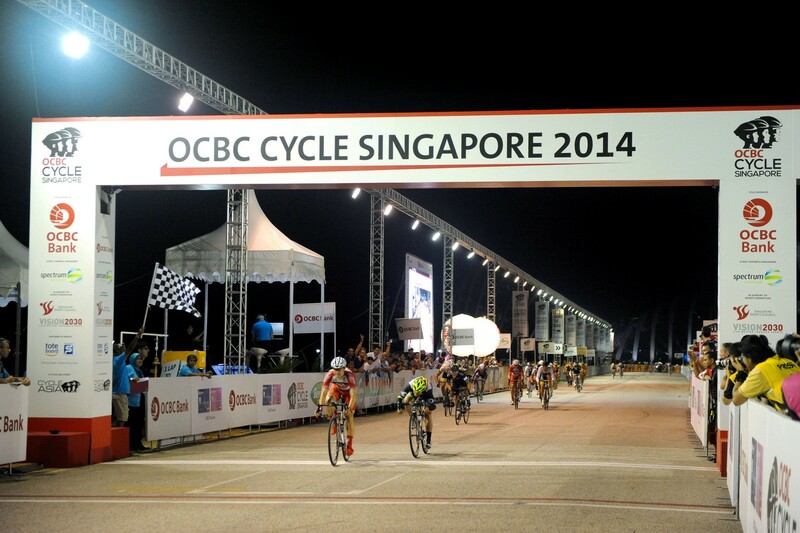 Singaporean riders on the OCBC Singapore Pro Cycling Team have scored some memorable successes this season. 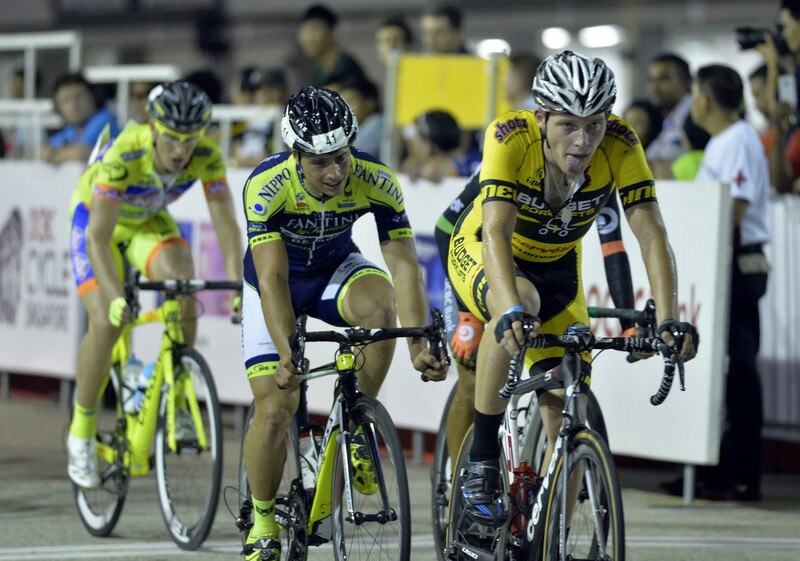 Goh Choon Huat finished fourth in the prestigious Tour of Langkawi last month, while Low Ji Wen chalked up a career-best seventh in stage three of the Herald Sun Tour in Australia. 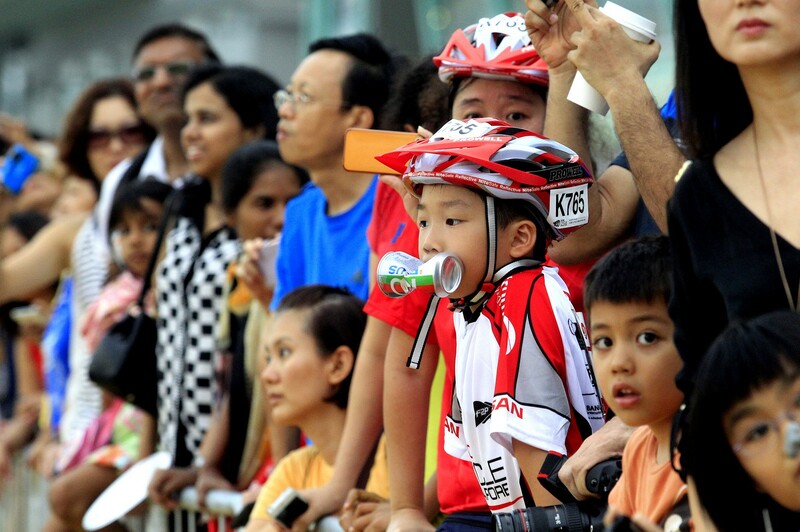 Last December, Dinah Chan became only the fourth Singaporean to bag a SEA games cycling gold medal when she won the 30km individual time trial in Myanmar. 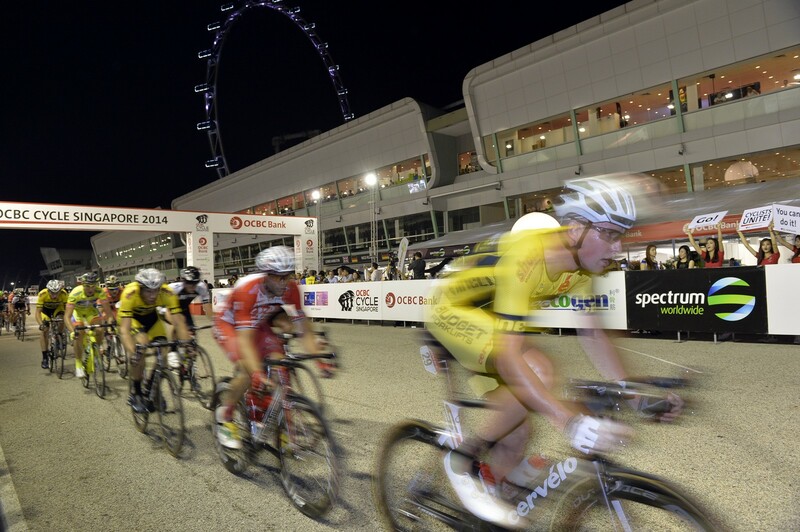 While Singapore Cycling Federation president Suhaimi Haji Said believes the sport will do well when the Republic hosts the SEA Games in June next year, he warns that growing popularity does not inevitably lead to high performance excellence. He said: "We are proposing a much-better medal prospect to the SNOC and the SSC (Singapore Sports Council)... we are confident that Dinah can retain her title and hopefully she can do well in the road race as well... so we are targeting two golds from her and hopefully a bronze from the men. 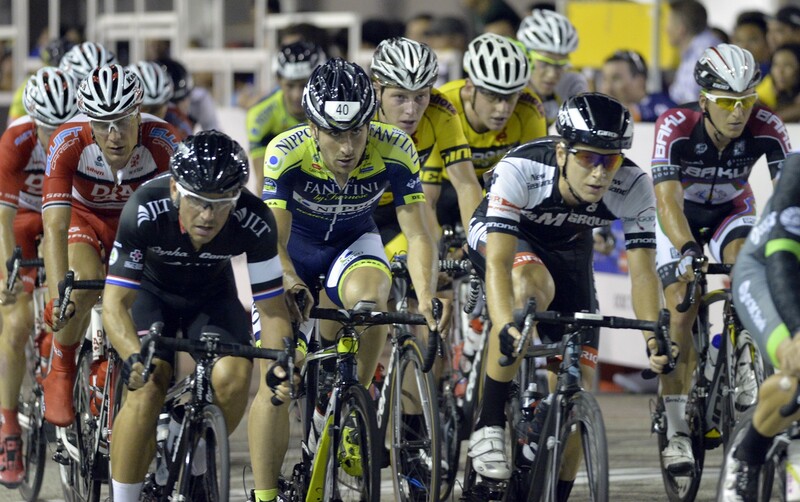 "But a mass event is different from high performance; every year when we do national championships we see the growth in numbers but in high performance people are more committed... there is a big disparity between that and community cycling." 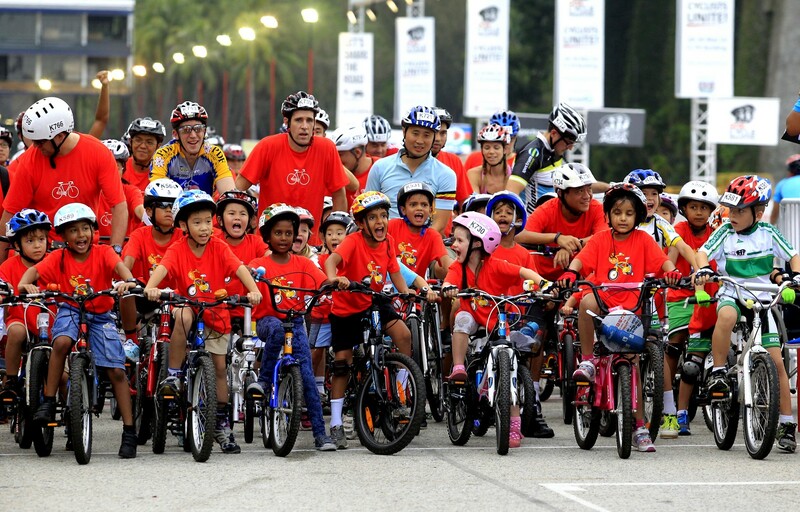 He did reveal, though, that the association has been trying to work with bike shops, which are usually closely associated with cycling clubs, and opening up their development programmes to the public in an effort to boost their talent base. 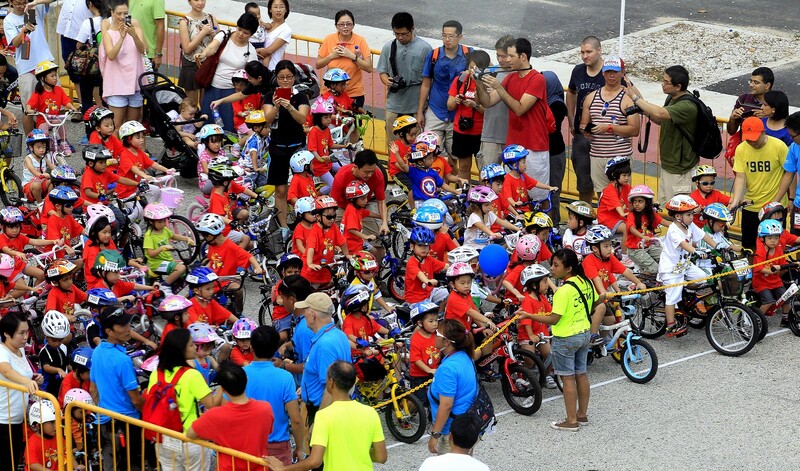 Said Suhaimi: "We have junior development and Under-23 programmes... and are developing the younger riders so that they will peak at the SEA Games in 2015 and 2017. That's the target." 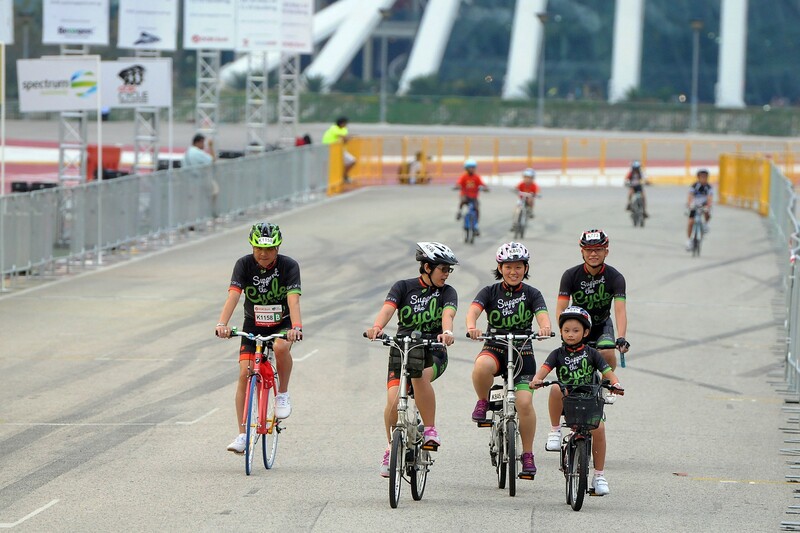 Acting Minister of Manpower Tan Chuan-Jin served as the Guest-of-Honour of the event and flagged off The Super Challenge, before cycling in the category himself. 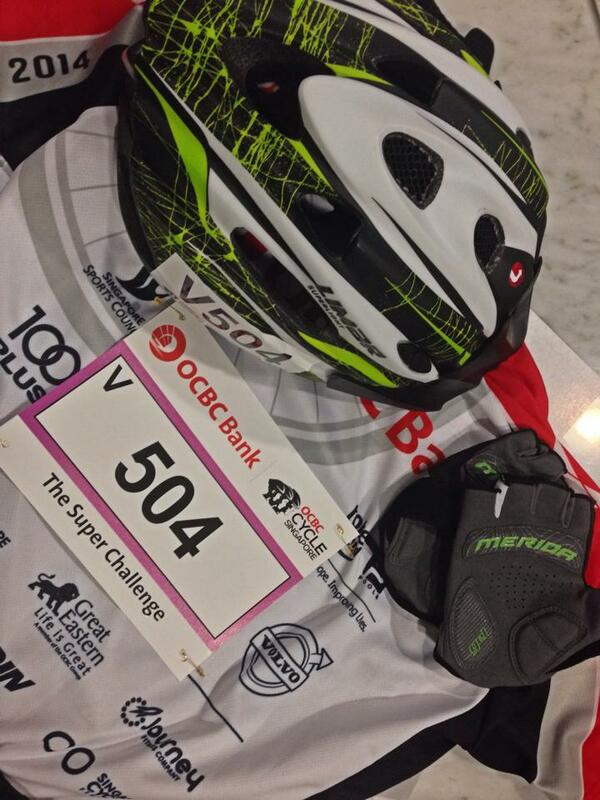 He completed the Super Challenge, which spanned 59km, in 2 hrs 54 seconds. 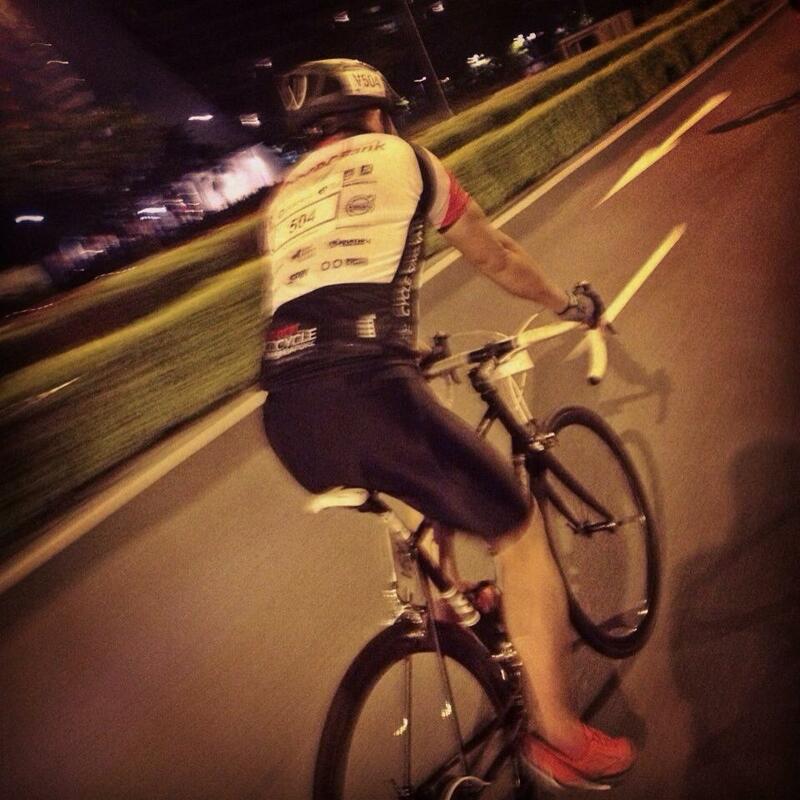 On his facebook account, Tan Chuan-jin posted: "I borrowed a bike and thought I better try it out. 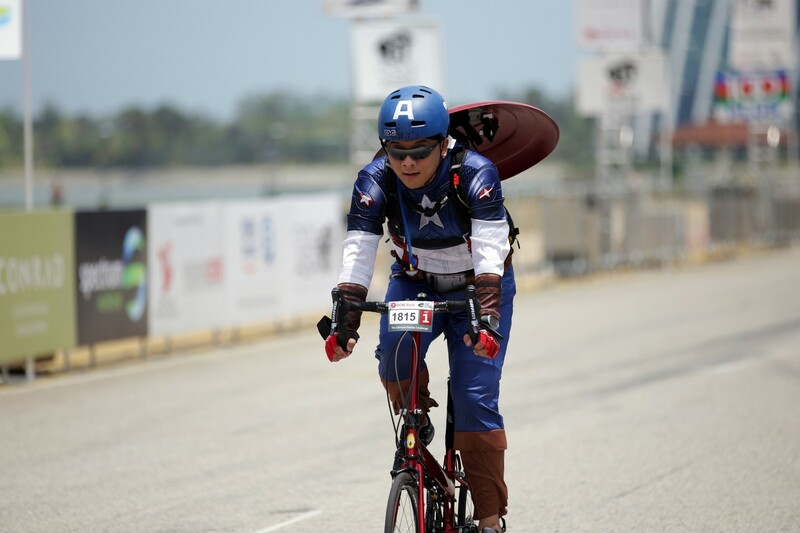 Earlier in the week, I cycled to Changi Jetty. It was PAINFUL." 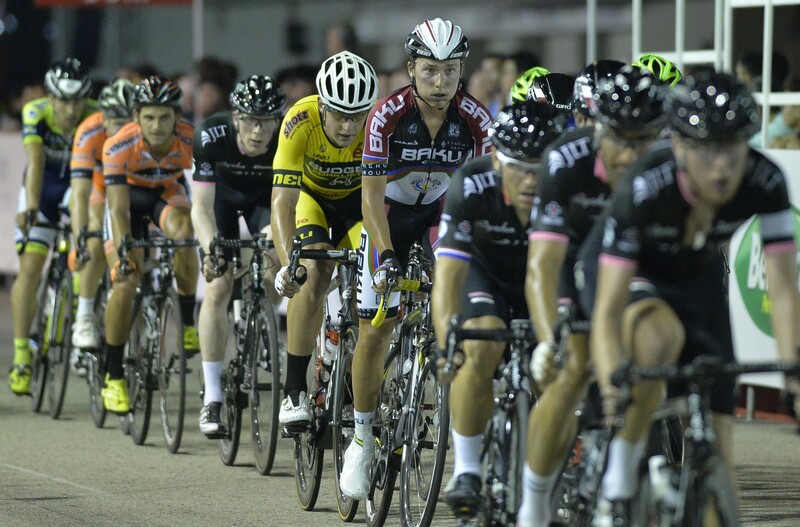 His last serious cycle on a racer was during See and Be Seen 2012. 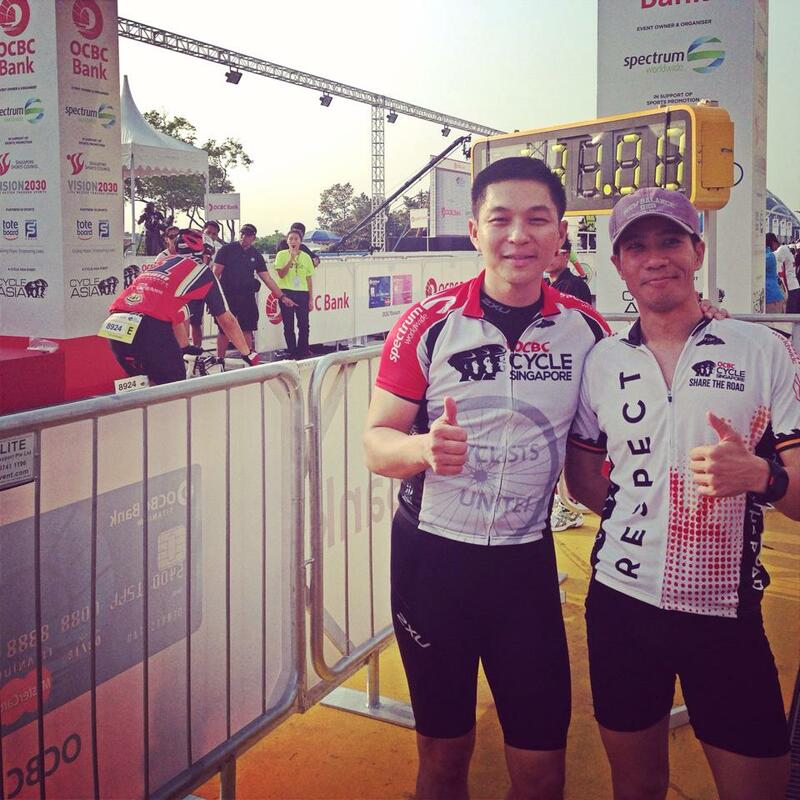 He had missed the 2013 race because of a slipped disc. 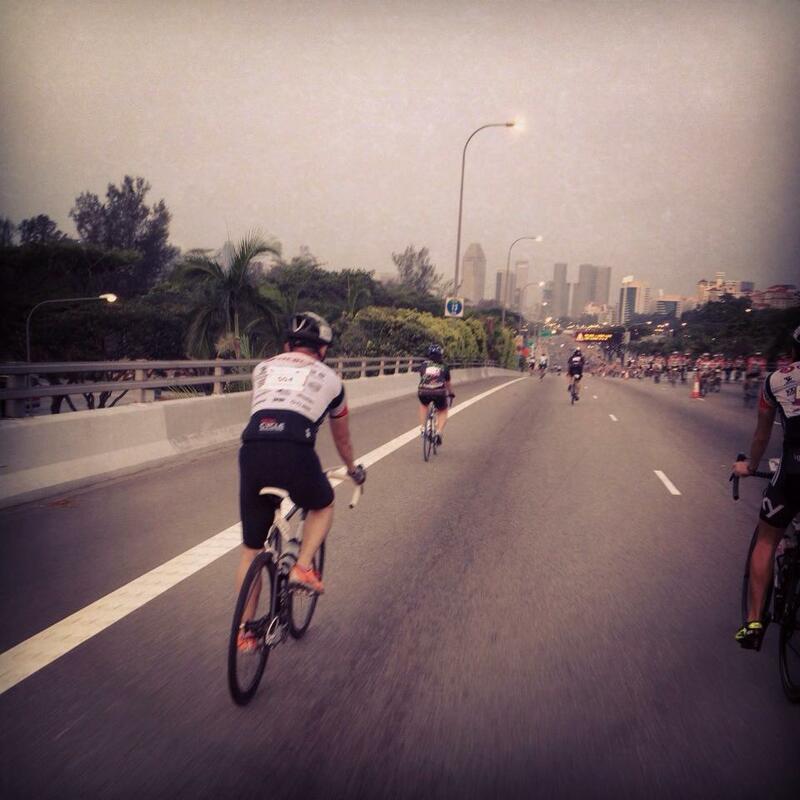 He also posted a photo of his cycling gear and shared his excitement about the event. 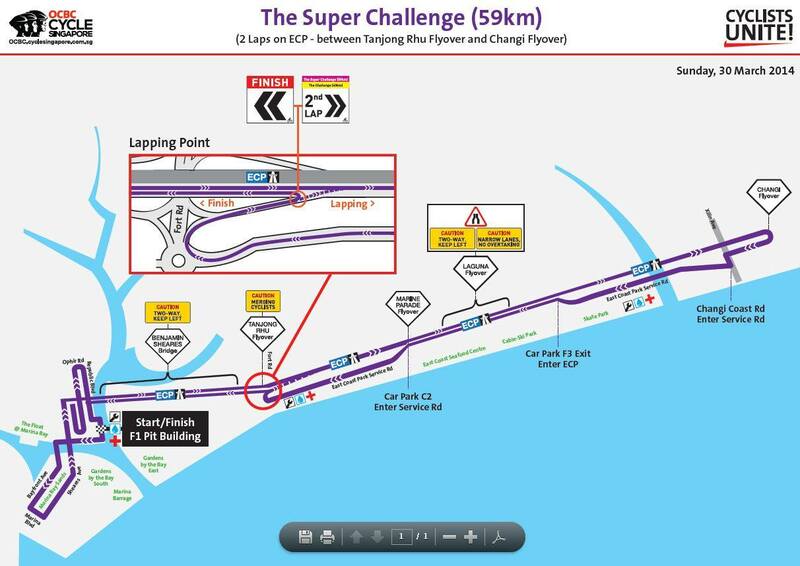 He also posted: "The race route...feeling tired and painful just looking at it!" 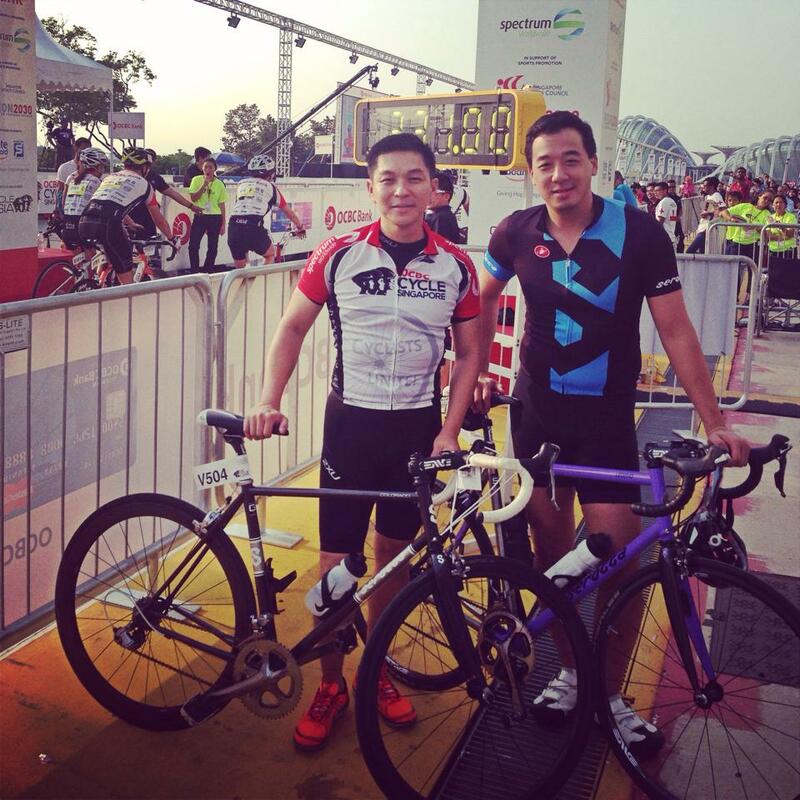 Tan Chuan-jin and Nicholas Fang, who participated in the event together. 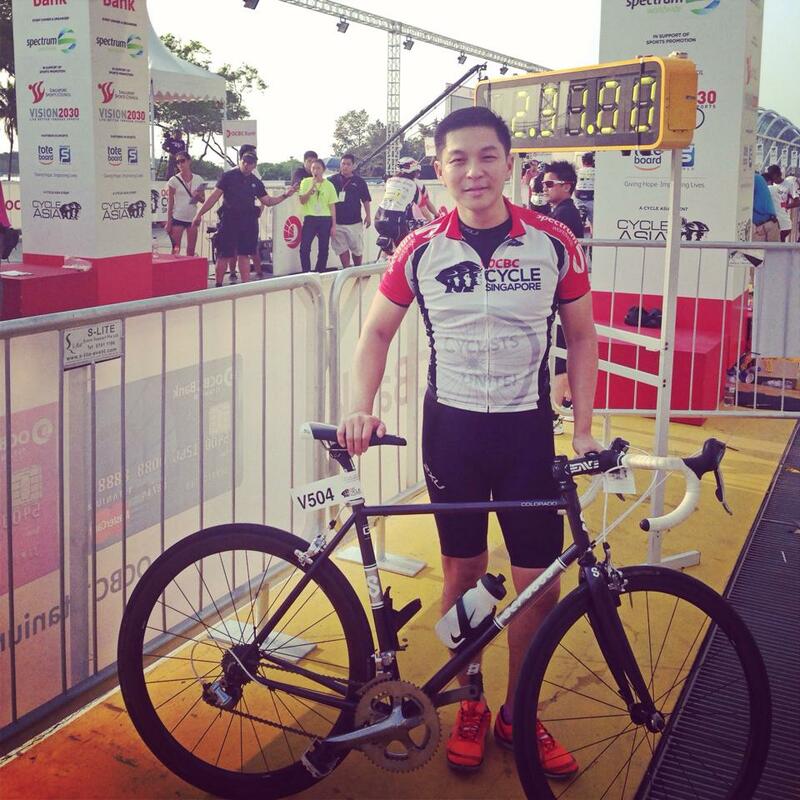 Darwin Ho takes part in The Ultimate Foldies Challenge at OCBC Cycle Singapore on Saturday at the F1 Pit Building. Ho captured second place in the Best Dressed awards. 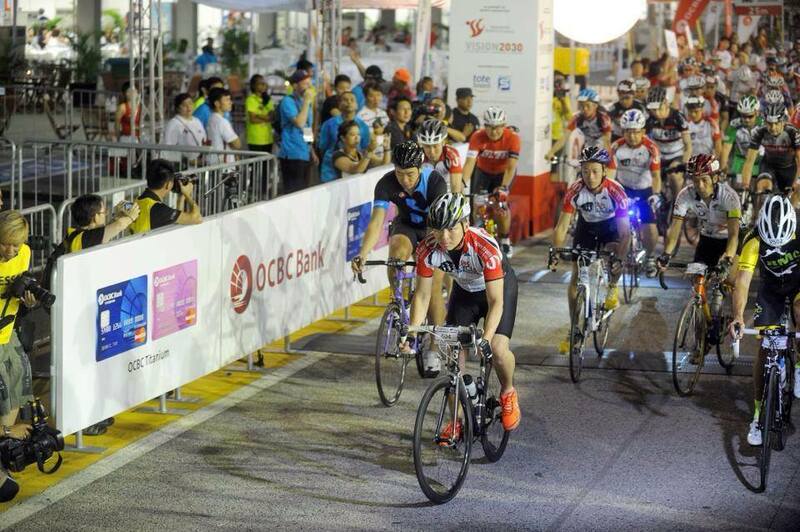 Thomas Timlen takes part in The Ultimate Foldies Challenge at OCBC Cycle Singapore on Saturday at the F1 Pit Building. Timlen captured first place in the Best Dressed awards. 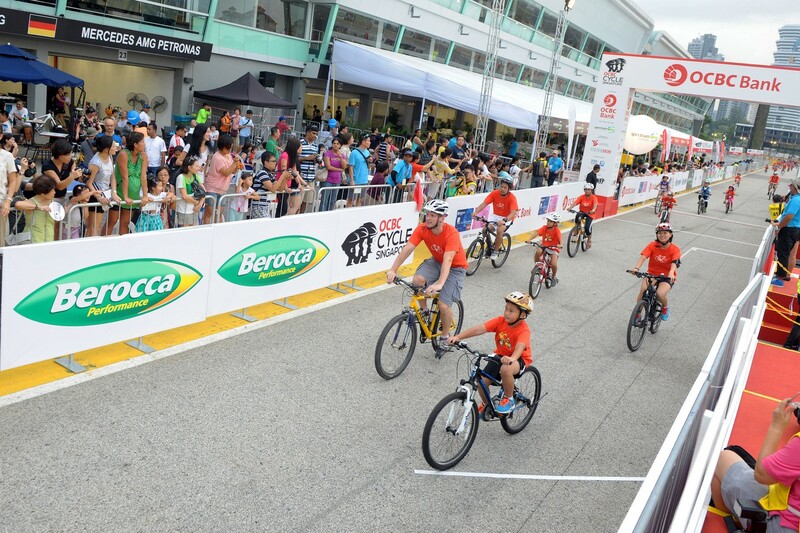 Representatives of SingHealth Transplant TRUEfund, one of the four official charities of OCBC Cycle Singapore 2014, take part in the Mighty Savers Kids Ride (5km) on Saturday at the F1 Pit Building. 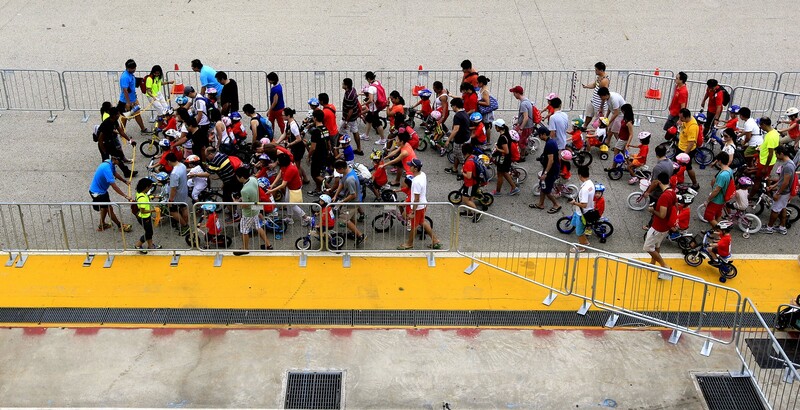 Families take part in the Mighty Savers Kids Ride (5km) at OCBC Cycle Singapore on Saturday at the F1 Pit Building. 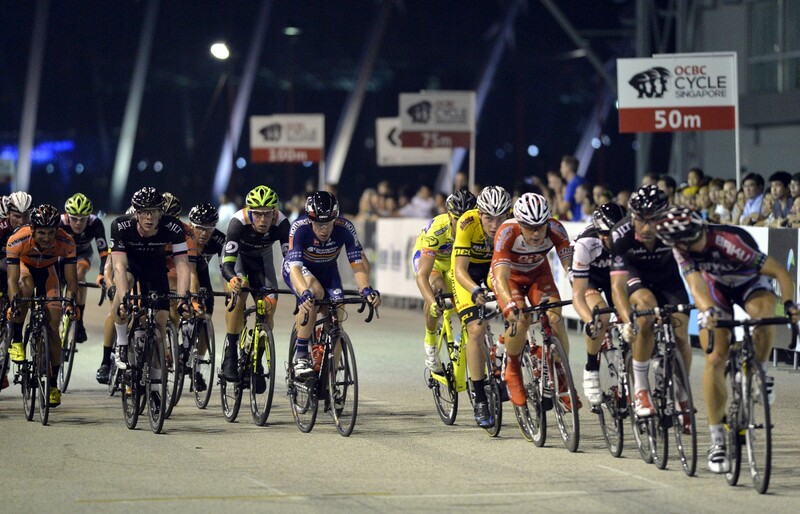 Drapac Professional Cycling rider Wouter Wippert from the Netherlands made his move in the final 500m, fending off all rivals to land the US$12,500 (S$15,800) prize at the 90-minute OCBC Cycle Singapore Pro Criterium at the F1 Pit Building on 28 March 2014. 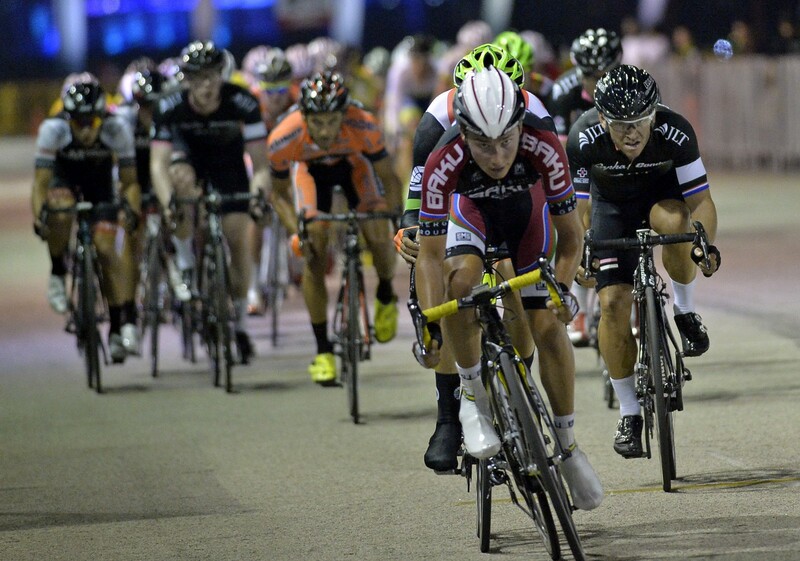 Rico Rogers from local outfit OCBC Singapore Continental Cycling Team came in second while Graham Briggs (Rapha Condor JLT) was third. Some 15 teams took part in the challenge.